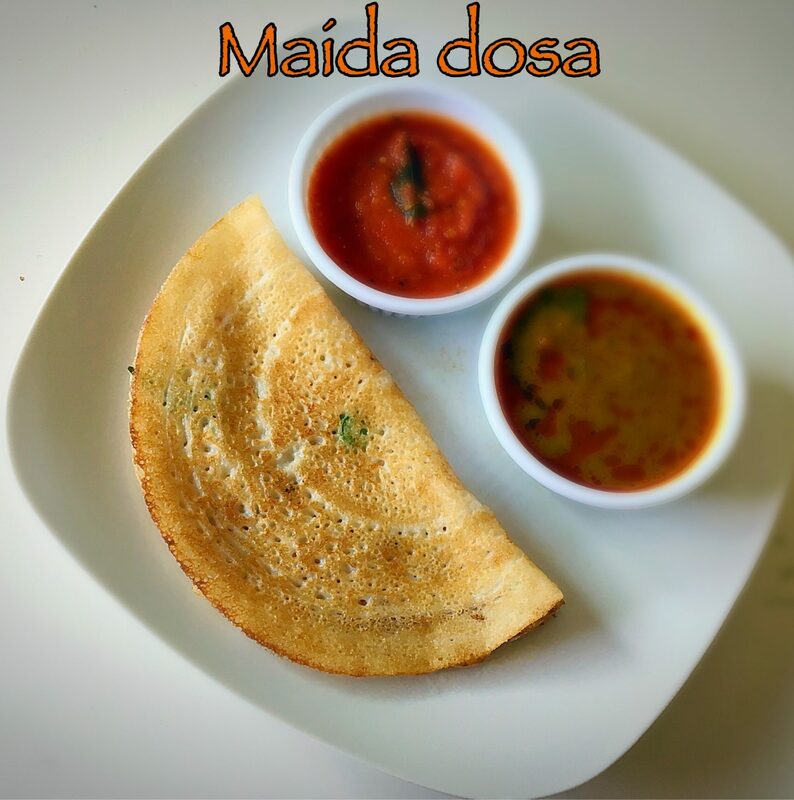 Godhumai uttapam/ Wheat uttapam is an instant and quick recipe prepared with wheat flour and topped with veggies and idli podi. 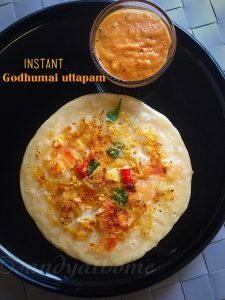 This uttapam is such an handy recipe when your run out of idli / dosa batter or if you are looking for quick breakfast. Wheat uttapam requires no grinding as it requires only mixing of wheat flour and rice flour so it can be easily prepared even by beginners. 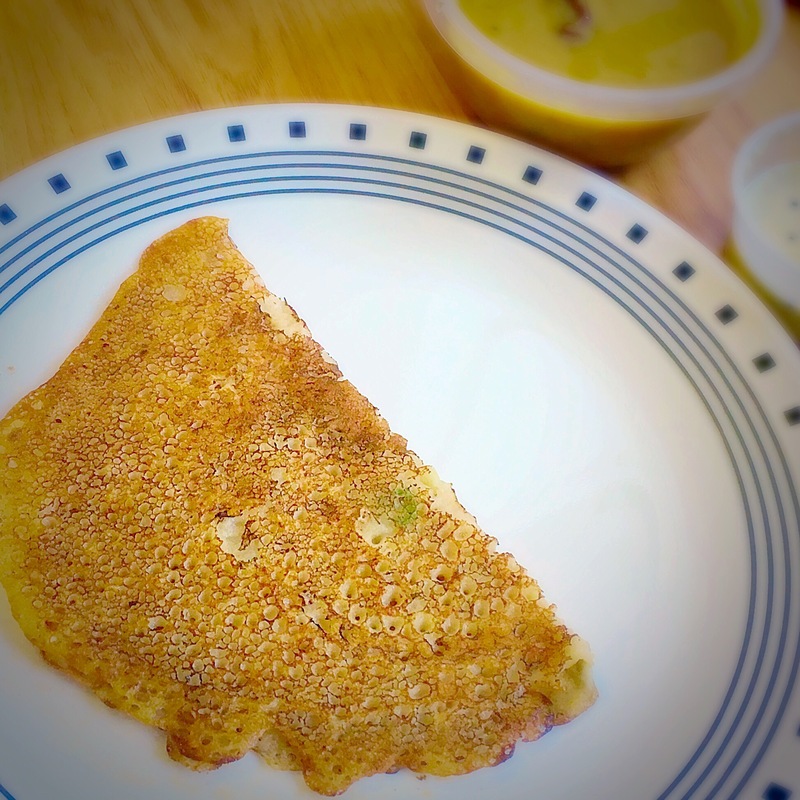 This uttapam tastes best with onion tomato chutney or any other spicy chutney. So lets get to the making. 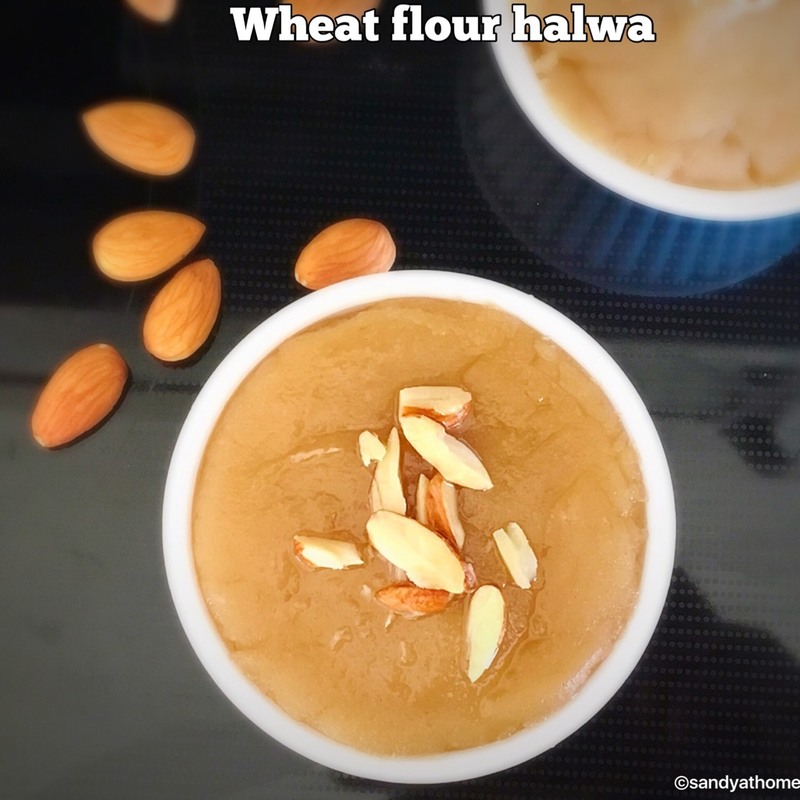 In a bowl add wheat flour, rice flour, salt and baking soda. Mix well and add water to form a thick batter. Heat tawa and pour a ladle batter on it. It should for a small round similar to pancake. 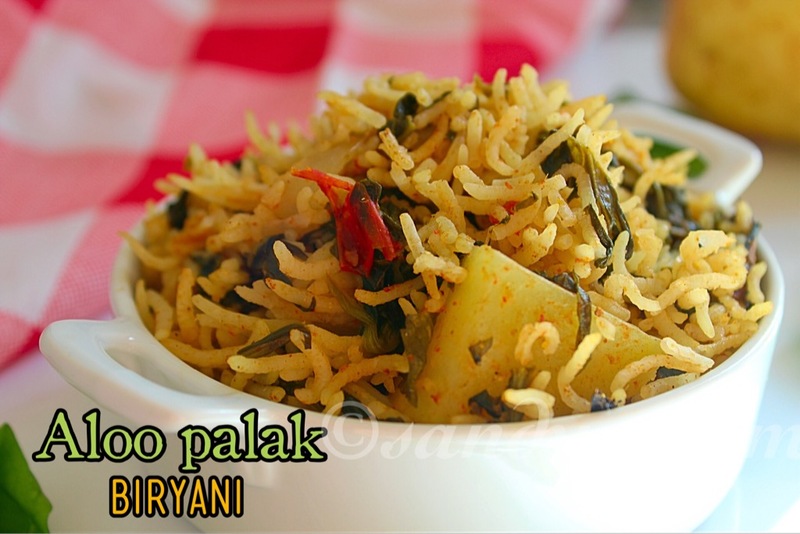 Now add chopped onion, tomato, green chili, cilantro and idli podi on it. Drizzle little oil around it. When sides brown flip it gently and cook till done. Make sure to keep the flame in medium as hight flame will burn the topping. 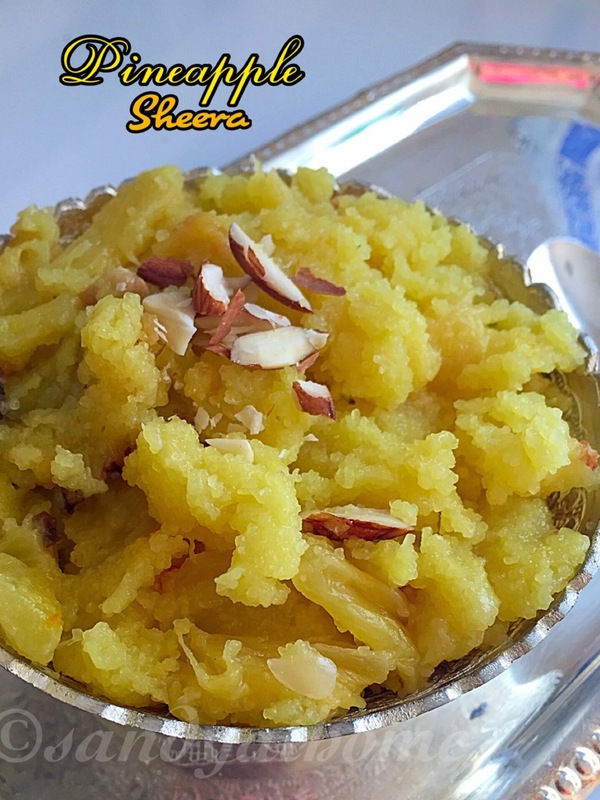 When done transfer it to a plate and serve it with chutney!